All India Catholic Union was established in 1919, registered under Societies Registration Act 1860 and it is the representative of the Catholic Laity, of India with affiliated units nationwide. AICU is a democratic federation with affiliated Catholic Associations across the Diocese/Districts in India. It is a non political body, and it seeks to represent and strengthen the Catholic Community and country, in the socio-religious, political, and economic fields. Fourteen Kandhamal victims have received enhanced compensation of Rupees Three Lakhs each following writ petitions filed by lawyers of ADF India in the High Court bearing WP(C) No.24342 to 24355 of 2017. In addition, in The compliance order of the Special Secretary, Home Department says that an amount of Rs.15,33,20,000/-(Rupees Fifteen Crore thirty lakhs twenty thousand) have already been placed at the disposal of the Collector, Kandhamal with necessary instructions to disburse the amount. “Today, justice has been granted to the victims of religious persecution in India. We welcome the decision of the High Court to compensate the families which suffered under the Kandhamal violence almost ten years ago. As we remember the brutal riots against religious minorities in this region, we must not forget that justice is the first step towards reconciliation. Nobody should be persecuted because of their faith. With its judgement, the Court has reaffirmed the constitutional right to freedom of religion in India,” said Tehmina Arora, a human rights lawyer and Director of ADF India, who litigated the cases on behalf of the victims of violence in Kandhamal. The victims are the families who lost a family due to the unprecedented violence against Christians in the year 2008. The estimated number of people affected by the communal violence spread out in 415 villages in 12 blocks of Kandhamal district is 150,000. By late September/early October 2008, a total of 13 relief camps had been set up by the government across the district for an estimated 75,000 people. This year marks the 10th year anniversary to the violence. There have been more than 3300 complaints, but only about 820 FIRs were registered. Out of these, only 518 cases were charge-sheeted. The police treated the remaining cases as false reports, allegedly due to lack of evidence. Out of the 518 cases that were charge-sheeted, 247 cases were disposed off. Out of the 30 trials for murder, the courts convicted accused in only two cases. There have been convictions in 4-5 other murder cases, but for lesser offences. Out of 727 cases that were tried in two fast track courts, only 46 (5.13%) of the 895 accused were convicted and 793(88.60%) acquitted. In the light of the Communication received from the Apostolic Nunciature, I wish to inform you that His Holiness Pope Francis has appointed Rev. Msgr. Paul Antony Mullassery, until now Vicar General of Quilon, as the new Bishop of Quilon. This provision was made public in Rome on Wednesday, 18th April, 2018, at noon local time, corresponding to 15:30 hours, Indian Standard Time. Rev. Msgr. Paul Antony Mullassery was born on 15th January, 1960, at Kaithakody, Diocese of Quilon. He did his studies at St. Raphael’s Minor Seminary, Quilon, at the Trinity Lyceum and at St. Joseph’s Pontifical Seminary, Aluva. 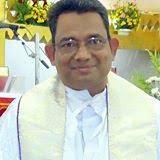 He was ordained Priest on 22nd December, 1984, for the Diocese of Quilon. He obtained a Doctorate in Canon Law from the Pontifical Urbanian University, Rome. He served the Diocese in the following ministries: Asst. Parish Priest, St. Mary’s Cathedral, Punalur (1985-1986); Asst. Parish Priest, St. Michael’s Church, Kumbalam (1985-1986); Parish Priest, Thee King’s Church, Vadakkumthala (1986-1987); Parish Priest, St. Joseph’s Church, Padappakara (1987-1988); Joint Director, Catechesis and Bible Apostolate and Prefect at St. Raphael’s Minor Seminary, Quilon (1988-1990); Parish Priest, Infant Jesus Cathedral, Quilon (1995-2002); Chancellor of the Diocesan Curia (1997-2006); Parish Priest, Holy Cross Church, Tangasseri (2002-2004); Rector, St. Raphael’s Seminary, Quilon (2004-2006); Episcopal Vicar and Pro-Vicar General, in Quilon (2006-2010); Episcopal Vicar for pastoral ministries (2006-2011); Spiritual Director, St. Raphael’s Seminary, Quilon (2014-2017). Since 1995, he is Judge of the Diocesan Tribunal; since 1997, he is professor of Canon Law at Bhodhi Institute of Theology, Tillery, Kollam (the Capuchin Theology Seminary); since 2013 Judicial Vicar, and since 2017 he is the Vicar General of the Diocese of Quilon. In 2006 he was granted the title of Chaplain of His Holiness. 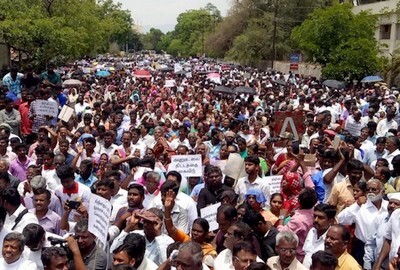 Thousands of Christians took to the streets during protests across the southern Indian state of Tamil Nadu on April 17 to demand government action to stop what they call increasing harassment and violence against Christians. Some 20,000 Christians from various denominations filled roads in at least 16 cities and towns shouting slogans against government inaction to check anti-Christian activities allegedly carried out by upper-caste Hindu groups. The Synod of Pentecostal Churches in Tamil Nadu organized the protest as Christians have been subjected to at least 15 cases of violence in the first three months of this year. Incidents include the mysterious death of a pastor who was found dead a week after he complained to police about harassment from hard-line Hindus. "We are facing lot of persecution in our state," synod general secretary K.B. Edison told ucanews.com. "The peaceful protest was to get the attention of the state and federal government about the serious need for security and protection of the Christian minority. "In the past four years we have faced many challenges. Our churches are being attacked, they are being burned, pastors' lives are under threat. We are not able to bear these atrocities. They are even burning Bibles. "We have approached the state government several times but disappointingly no action has been taken." Nehemiah Christie, the synod's director of legislation and regulations, told ucanews.com that both Protestant and Catholic denominations joined the protest. He said administrative bodies — including the police — have been apathetic to act against violence committed by Hindu groups because of the strong religious and caste biases in the state. Catholic Father Gregory Rajan of the Infant Jesus Cathedral of Salem supported the protest. "Hindu extremist forces are behind the attacks," said Father Rajan. The priest said a lack of strong political leadership in the state remains a major issue. Tamil Nadu is not ruled by the pro-Hindu Bharatiya Janata Party (BJP). But the local political party — named All India Anna Dravida Munnetra Kazhagam — which runs the government "is depending on the BJP for policy and advice on the affairs of the state. Naturally, the local Hindu forces feel emboldened to attack Christians," he said. Published data shows violence against Christians has increased across India since the BJP came to power in New Delhi in 2014 in a landslide victory. Hindu groups took the BJP's victory as a mandate to step up violence against religious minorities in their push to establish a nation ruled by a Hindu upper-caste hegemony. Attacks have been increasing in India, said Persecution Relief, an ecumenical forum that records Christian persecution in India. There were 736 reported attacks against Christians in 2017, up from 348 in 2016, the forum said. Local Christian leaders say most of their new members come from the lower strata of the caste-ridden Tamil society. Higher-caste people oppose any Christian gatherings because they believe they pollute their area. Higher-caste people also believe those in economically and socially poor castes can be attacked and harassed with impunity, Christie said. He said their protest program was supported by some mainstream political parties such as the Communist Party of India and some Buddhist and Muslim leaders in the state. "It is an assurance that they will stand by us to ensure that the constitutional rights of minorities be protected," Christie said. "Our demands are very simple. Growing violence against Christians and police complicity are matters of deep concern. We want the government to act to end all forms of fascist aggression against Christians and to uphold the rule of law." Christians are the largest minority in the state, forming 4.5 million or some 6 percent of its 72 million people. A majority of them — plus the state's 4.2 million Muslims — come from castes considered low in the social hierarchy. 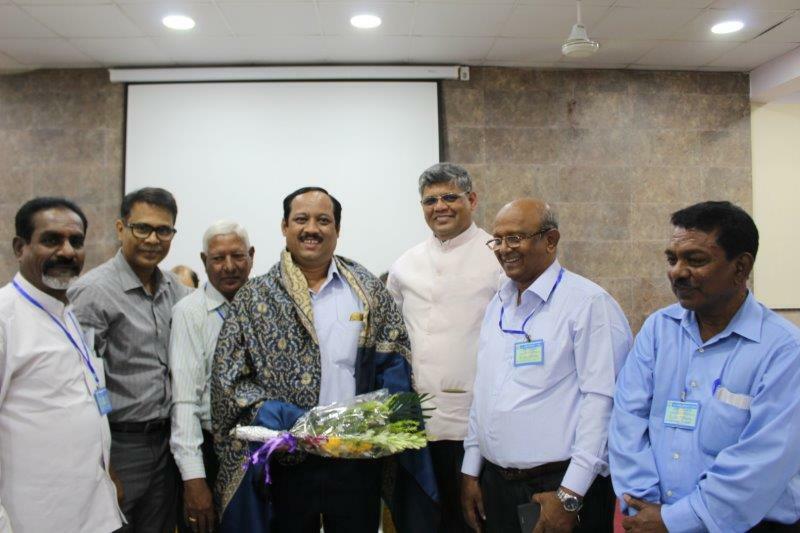 ​The Bombay Catholic Sabha of St .John Bosco Unit held a 2 hour talk on Income Tax with a view to Personal Taxation. The event was held on the 15th of April and drew a crowd of around 70 people to this informative session. The session was led by Mr. Alwyn Furtado, a practicing auditor with the CAG, Govt. of India. The crowd consisted of varied backgrounds, young and old. The session began with an Interesting rhetoric, ‘As a taxpayer, I am a minority, I want reservation’. This set the tone to a very intriguing session that covered several aspects that benefitted the attentive crowd. The whole session was filled with a lot of real life practical examples, additional tips to help save tax and also provided general awareness to all the sections available to claim tax benefits. Lesser known yet important topics like, taxation in Home Loans, Capital Gains (Short and Long Term) were elaborated upon with due respect to Indexation and Valuation of assets. Mr. Alwyn then took the whole gathering through each and every aspect of Online and offline Return Tax filing which was a very informative and essential session considering a majority of the attendees had doubts with regards to the process. The floor was then opened for a question answer session which led to a healthy exchange of ideas. Year by Year, Mr. Alwyn has taken the effort to stay update with the yearly updates to the Income tax laws and ensured that he enlightens the attendees with as much information as he can pack into those 2 hours. The talk then culminated with the vote of thanks by the Vice Chairman of the St. John Bosco Unit. We would like to reserve special thanks for Mr. Alwyn who took time out his personal schedule to share his expertise and his years of experience to build an extremely informative session that has helped a lot of the parishioners in resolving their taxation queries. 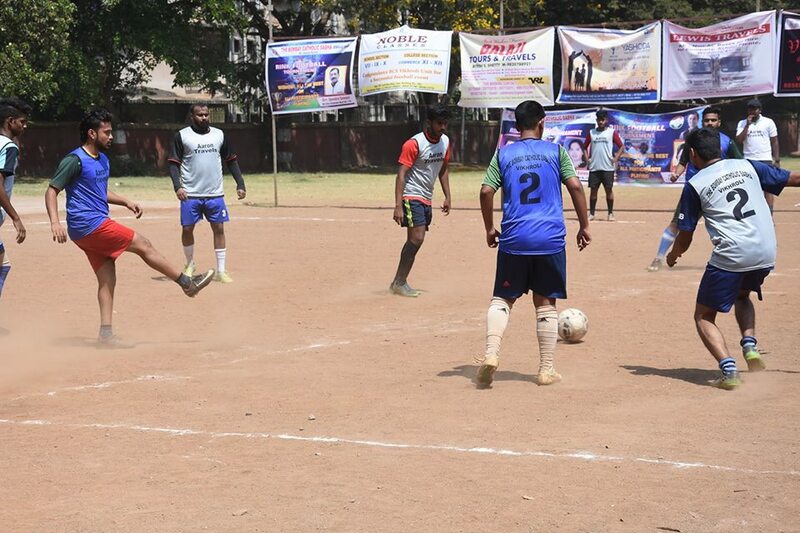 The Vikhroli Unit of The Bombay Catholic Sabha organised a Zonal Rink Football tournament on Sunday, 25th March, 2018 at the Ravindra Mhatre grounds, Vikhroli East. Thirteen teams from the Community participated in this event. The average attendance on the ground was in the region of 450 to 500 persons. The purpose of organizing this tournament is to encourage n inculcate a competitive spirit and fair play in the game. We are grateful and owe our sincere thanks to our sponsors n benefactors for their support n encouragement in order to make this event a reality . We thank the under mentioned persons for gracing the event with their presence for which we are grateful. 2. Mr. Lawrence Dsouza Ex. Vice President BCS. 3. 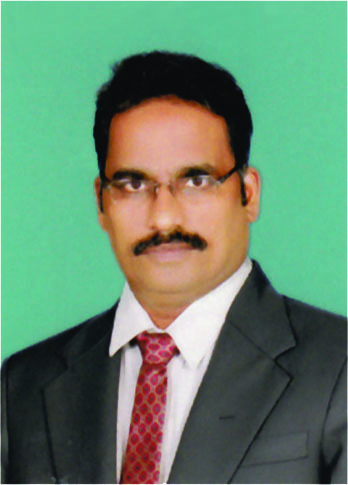 Mr. Raphael Dsouza President AICU. 4. Senior inspector of Police Mr. Sanjay More from Vikhroli Police Station. 5. Mr. Bona Misquitta Thane Deanery Councillor . 6. Mr. Ivan Lemos Executive Committe member . The Winners were awarded a cash prize together with an attractive trophy and gold medals. The Runners up were awarded cash prize along with a trophy n Silver medals. The third Place were awarded cash prize a trophy n Bronze medals. In addition Trophies of appreciation and mementos were awarded to various categories - Outstanding Player of the tournament , best Goalkeeper , up Coming players. We owe our thanks and gratitude to our main sponsors M/s. Godrej Industries, The Model Cooperative Bank and Aaron travels. 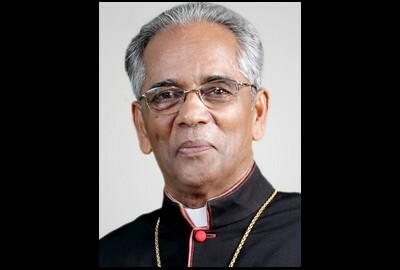 Archbishop Abraham Viruthakulangara of Nagpur died while on a visit to New Delhi April 19, said a communique from Catholic Bishop’s Conference of India (CBCI). He was 75. Archbishop Abraham came to New Delhi to join the Hindi Region Bishops’ Council annual meeting, hosted by Delhi Archbishop Anil Couto. He was accommodated at the CBCI center close to the Delhi Archbishop’s house. Archbishop Abraham had planned to catch an April 19 early flight to Nagpur, as there was some urgent matter to be attended to. The night watchman was asked to wake him up around 4.30 a.m. When the watchman did not succeed to get any response from Archbishop Abraham, he went and opened the unlocked room and found Archbishop Abraham lying in his bed motionless, the communique said. The CBCI officials were informed and the body was immediately taken to Holy Family Hospital, where death at early morning hours (between 12 mid night and 1 a.m.) was confirmed. 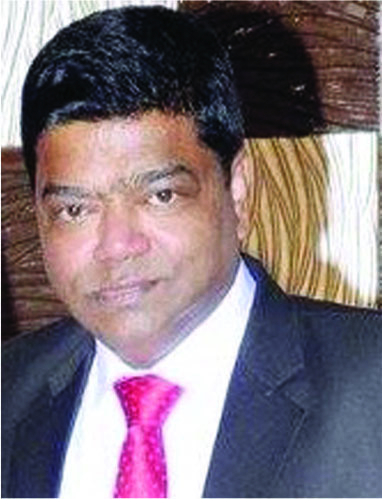 The body was flown to Nagpur at night and funeral will be held at St. Francis de Sales Cathedral in Nagpur April 23. Archbishop Viruthakulangara was born on June 5, 1943 in Kerala and ordained a priest on October 28, 1969. 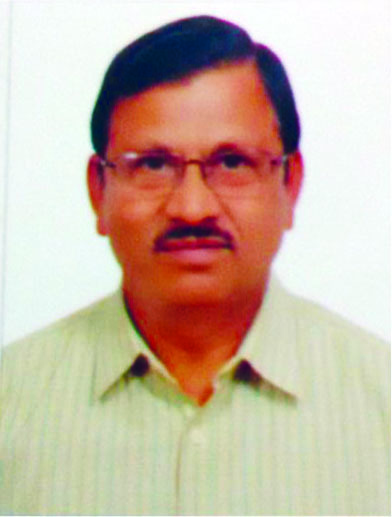 He began serving as parish priest and District Superior of Sendhwa Parish of Khargon, Madhya Pradesh. He became a bishop at the very early age of 34, when named bishop of Khandwa diocese in 1977. After two decades in1998, he took charge as Metropolitan Archbishop of Nagpur. 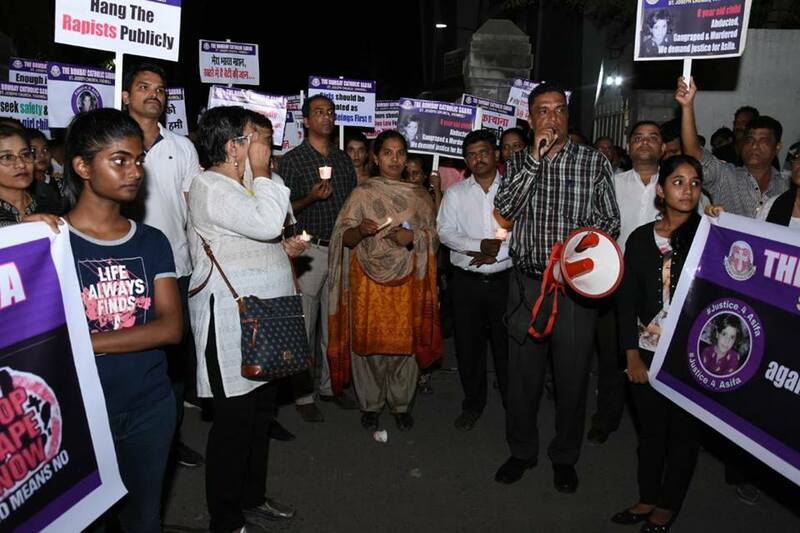 The Vikhroli unit of the Bombay Catholic Sabha had organised Solidarity Meeting with Candle light protest to demand justice and tougher deterrent laws for purpetors of crimes of rapes and brutal torture and murder of innocent children. In attendance were Rita D'sa - President The Bombay Catholic Sabha; Mr Dolphy D'souza Ex President - The Bombay Catholic Sabha and Convenor - Police Reforms Watch Spokesperson Save our Land (SOUL); Robert D'souza Vice President the Bombay Catholic Sabha; Vinod Noronha Ex General Secretary the Bombay Catholic Sabha; Anthony Dias Jt. General Secretary The Bombay Catholic Sabha; Bona Misquitta Thane Deanery councillor, Ivan Lemos Exec. Committe member, neighboring units Chairpersons Mohan Sequeira, Walnes Rego and our main speaker Aileen Marques Advocate Bombay High Court , Ms. Manisha Rahate Corporator, Prashant Das along with a number of important dignitaries and representatives from various units of the Bombay Catholic Sabha, woman's cell and other Church associations. 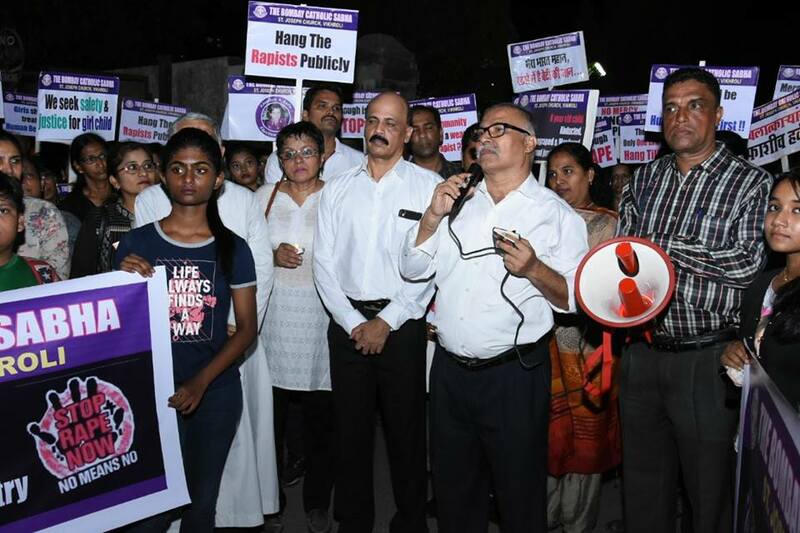 More than 500 people attended to show their Solidarity and seek tougher laws to deter rapes and crimes against children. The Speaker's spoke extensively on stricter laws and stringent punishment by fast courts to the guilty. The general public exhibited a low tolerance towards crimes against minors and are not ready for any nonsense. Though it was a busy working Monday the crowd was a good mix of children, youth, working people and senior citizens. 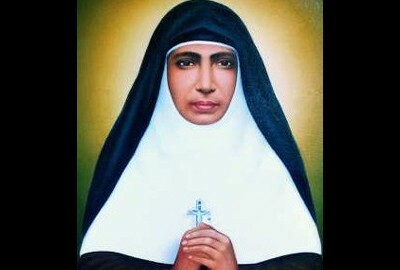 The canonisation process of Sr Mariyam Thressia, the founder of the Holy Family congregation of nuns in Kerala, is a step closer now. An expert team in Vatican has approved a miracle, the survival of a child born with acute respiratory failure, attributed to her intercession. 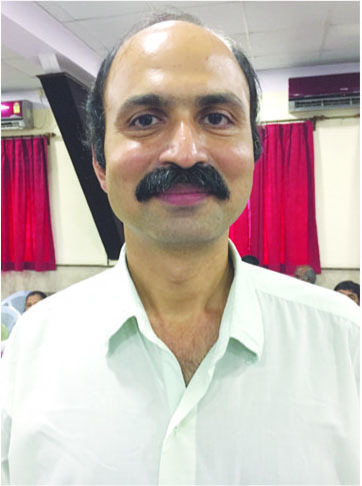 Christopher, son of Joshy and Shibi from Choondal in Kanavamkod in Thrissur, was baptised the day he was born as doctors feared he would not live long. The child’s lungs were underdeveloped. His heart had three holes. He could have died any day. But he survived. On April 9, 2009, the doctors testified that the boy was cured. Christopher’s family avers that they owe the child’s life to the prayers of Sr Thressia. They said that they prayed for the child with a relic of the beatified nun. Mariam Thressia was born to Anna and Thoma of the Mankudiyan family at Chirammel in Puthenchirayil near Mala on April 26, 1876. She joined a convent when she was just nine years old. She founded the Holy Family congregation on May 14, 1914. She died on June 8, 1926. The Vatican has been perusing the process to declare the nun a saint. The case of Christopher has given a fillip to the process. Christopher outlived the medical prognosis but he had difficulty in speaking as a child. The family said that he got better after they took him to pray at the tomb of Sr Thressia. The case for elevating the nun as a saint has two more stages to pass - a debate in the curia and the approval of the Pope’s office. Fr Benedict Vadakkekkara and Sr Rosmin Mathew are leading the proceedings. The Karnataka government on Friday notified minority religion status to Lingayats amid protests by some sections of the community. "The state Social Welfare Department has issued a notification terming Lingayat followers of 12th century social reformer Basava's philosophy (tatva) as a religious minority," an official told IANS here. The notification comes three days after the state cabinet decided to grant the status to Lingayats and Veerashaiva Lingayats who are believers of Basava ideology. Lingayats, who worship Hindu god Shiva as their deity, and Veerashaiva Lingayats constitute the largest community (17 per cent) in the southern state. The notification, however, omitted 'Veerashaiva' word to Lingayats as then UPA government had in 2013 rejected the state government's proposal to grant religious minority status to them (Veerashaivas) as they are considered to be Shaivaites and hence cannot get a separate religious tag. Earlier in the day, the Akhila Bharatha Veerashaiva Mahasabha urged the state government not to grant minority religion status to the community and withdraw the cabinet decision. "Lingayats and Veerashaiva Lingayats are one and the same. They cannot be treated separately from followers of Basava as Panchacharyas founded the Veerashaiva, which is an ancient religion," Mahasabha President and state Horticulture Minister Shamanur Shivashankarappa told reporters here. The Mahasabha urged the state government not to divide the community. "The state government should go back and revisit the report that was submitted to the UPA government on the issue after which the decision to grant the religious minority status to Veerashaiva Lingayats and Lingayats was earlier stopped," added Shivashankarappa. BJP's state unit president and former Chief Minister B.S. Yeddurappa termed the government move as an election gimmick and accused the ruling Congress of dividing the people on religious and caste basis. "The Congress government is dividing society on emotional issues. There is only one Lingayat-Veerashaiva. The separate religion tag to Lingayats is an election gimmick. It is an attempt to mislead the people," Yeddyurappa said earlier. 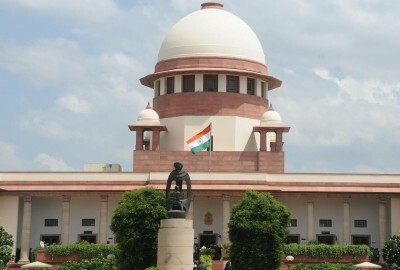 NDA constituent Lok Janshakti Party (LJP) on Thursday said it will move Supreme Court against the order that dilutes the stringent provisions under the Scheduled Castes and the Scheduled Tribes (Prevention of Atrocities) Act. Addressing a press conference here, Union Minister and LJP President Ram Vilas Paswan also urged the government to file a review petition as the rights of oppressed classes were compromised. LJP Parliamentary Party Board Chairman Chirag Paswan noted that the act "was the only weapon" that SCs, and STs had for their protection. "Our party leaders and workers have raised concerns over its dilution. So our party has decided to file a separate review petition in the court. It will mostly be done next week." Ram Vilas Paswan said he was Minister of Labour and Welfare in V.P. Singh government when the anti-atrocities act was passed in 1989 to protect SCs and STs from caste slurs and discrimination. In 1996, several amendments were made in it to strengthen it further, he added. The party also expressed its opposition to the proposal of separate Lingayat religion saying the SCs and STs in the fold would lose benefits like reservation. "At present, SCs and STs under Hindu, Buddhist and Sikh religions get reservation benefits. If new religion of Lingayats come, these communities would not get those benefits. So LJP is against separate Lingayat religion," said Ram Vilas Paswan. 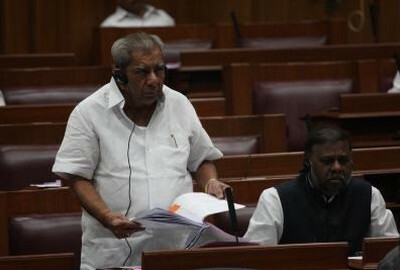 Taking a dig at Congress, he recalled that the Manmohan Singh-led government had in 2013 rejected the proposal by the All India Veershaiva Mahasabha to grant religious minority status to Lingayat and Veerashaiva Lingayats on the grounds that they were a sect of Hindus and not an independent religion. When the first All India Catholic Conference was held in 1919, under the eminent leadership of Prof. A. Soares, F.A.C. Rebello & Prof. C. J. Varkey, plans for the formation of this organization were laid down and in 1930 an organized union of the Catholic Laity the All India Catholic League was formed at a National Level and under it's patronage the first All India Catholic Congress was convened at Pune in 1934. In 1940, this organized body was named Catholic Union of India and Prof. M. Ratnaswamy, the then Vice - Chancellor, Anna Malai University was the first National President and Prof. A. Soares was the first Secretary General. AICU is the forerunner in all legitimate causes for Catholics in India. Its prime aim is to protect national, political and social interest and rights of the Catholics. The united strength of the Catholics in India successfully fought under the leadership of Catholic Union of India (CUI) against Niyogi Committee Report, O.P. Tyagi Bill in 1978, Kerala Education Bill. Christmas satyagraha for justice, peace and national integration in 1990, Census awareness campaign in 1991, Dalit Christian Rally in the Capital in 1993 & 1996, litigation relating to the Supreme Court's 50% Minority Institutions Judgement in 1993. A recent cause taken by the Union is equal rights for the Dalit Christians, the Christian Personal Laws, and representation against the atrocities on Churches and Christian Institutions starting with Gajraula and Jogeshwari nuns incident, till date taking place in Orissa, Bihar, UP, MP, Gujarat and various other parts of the Country. AICU now established a voice and presence with the "powers that be" across the Country. AICU works in the area of Human Rights and social justice. AICU's protests against atrocities on Minorities and Human Rights have been quoted in Parliament during the confidence motion debate in February 1998 and in India Today (August 15, 1998). AICU with the active involvement of CBCI has forged a National Christian Front of all mainline Churches to deal with protection and promotion of rights and interests. To spread the influence of Catholic ideals and principles in Indian public life through any medium of communication and to promote unity and solidarity among the people of India through Christian endeavour. To be the exponent of Catholic opinion and to make representations to authorities and public bodies in all matters affecting Catholics. To rouse the civic, social and national consciousness of Catholics, to help them to play a useful and effective part in the public life of the country and to make their full contribution to national unity and welfare. To promote unity and solidarity among Catholics of India, inter alia, by promoting the establishment of Catholic Associations/Sabhas/Unions where they do not exist and by co-ordinating their activities. To safeguard by all lawful means the legitimate rights, liberties and interest of the Catholic Community particularly those guaranteed by the Constitution of India. To promote measures to raise the economic, educational and social condition of Catholics including Catholics and to run or to assist in running economic projects, educational institutions or social welfare schemes. To perform works of charity for those in need, irrespective of race, caste, community or creed. To take over and manage the assets and properties, if any, belonging to the unregistered society of the Union functioning from the year 1945 or standing in the name of the Union and to continue the management of the affairs assets and properties of the Union as heretofore. To hold and manage the assets and properties already acquired by the unregistered Union and to acquire hereafter by purchase, lease, mortgage, loan, gift, grant, legacy, bequest, exchange, right, privilege or otherwise from any person, company, society, government, or institution or any body whatsoever moveable or immovable properties of all description deemed necessary for the objects of the Union and to alienate by way of sale, exchange, hiring out, gift or otherwise the properties of the Union as may be necessary or appropriate for the achievements of the objects of the Union. To borrow or raise funds in any manner the Union may think fit. To receive any gift, whether money or property, moveable or immoveable, for the fulfilment of the objects of the Union. To co-operate with other bodies or societies having similar aim or aims which are not inconsistent with the objects of the Union for the purpose of promoting or achieving the objects of the Union. To organize symposium, seminars, regional, national, international conventions and congresses. To affiliate itself to other International Catholic Unions and Organisations. To devote itself to promote renewal within the Church and foster relationship through dialogue, collaboration and service between the Church and Society in keeping with the spirit, vision, approach, values, policies and programmes of the Second Vatican Council.